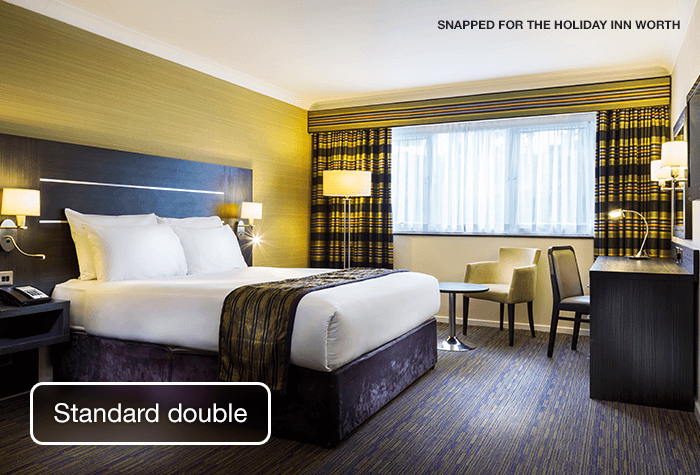 The Holiday Inn Gatwick Worth is the highest AA Accredited hotel in Gatwick and Crawley with 4 stars and is 12 minutes from the airport by taxi. Overnight parking at the hotel is available if you need it and costs £10. 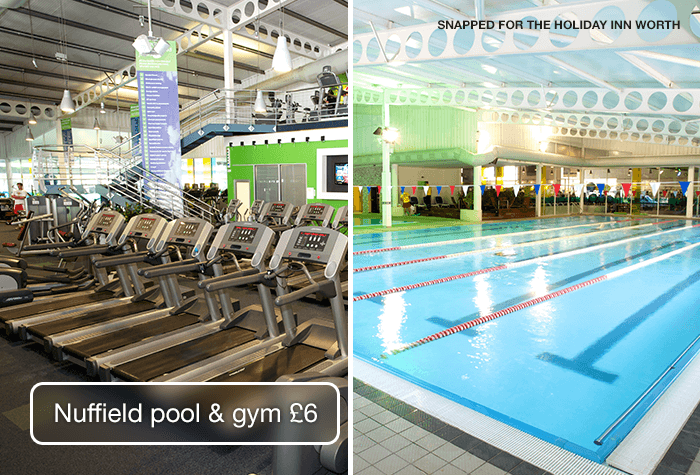 The Holiday Inn Gatwick Worth is 12 minutes from both North and South terminals. Taxis run 24-hours-a-day and cost from £11.50 per car, depending on the size you need, when booked through the hotel. Driving directions and a postcode for satnavs will be on your confirmation email if you need them. 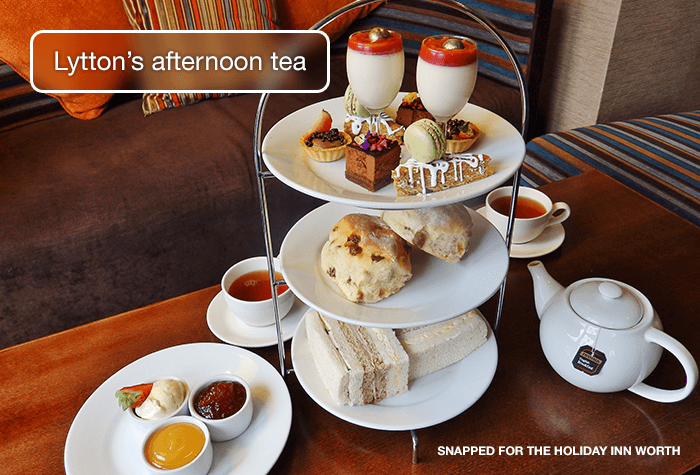 Check-in is from 2pm, check-out by 12 noon. 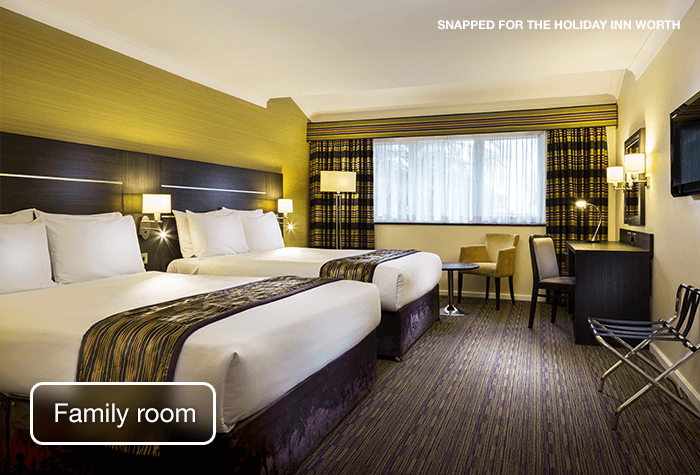 Spacious, modern rooms with a choice of pillow and free wifi. All rooms have tea and coffee and an en-suite with shower and bath. 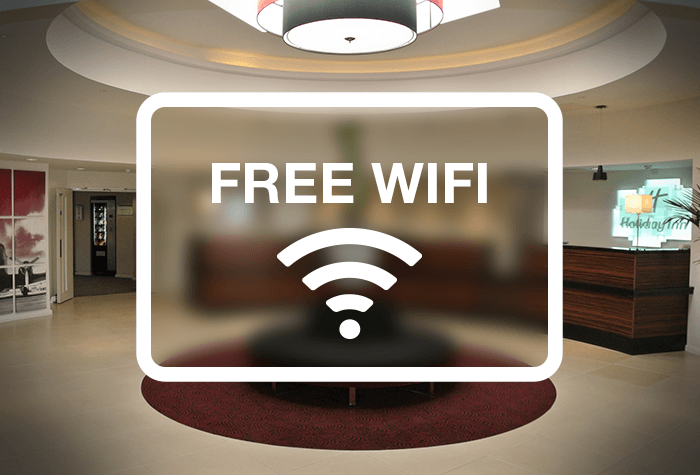 Wifi is free throughout the hotel, but you'll also get 4G coverage. 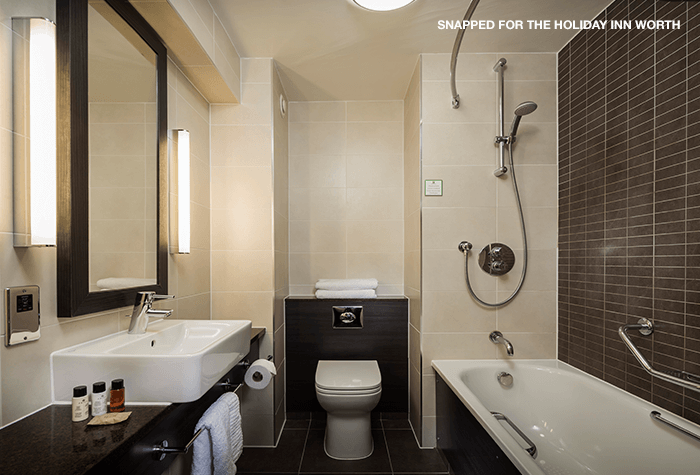 There are 3 accessible rooms with walk-in showers. If you would like to request one of these rooms please call us before you book. 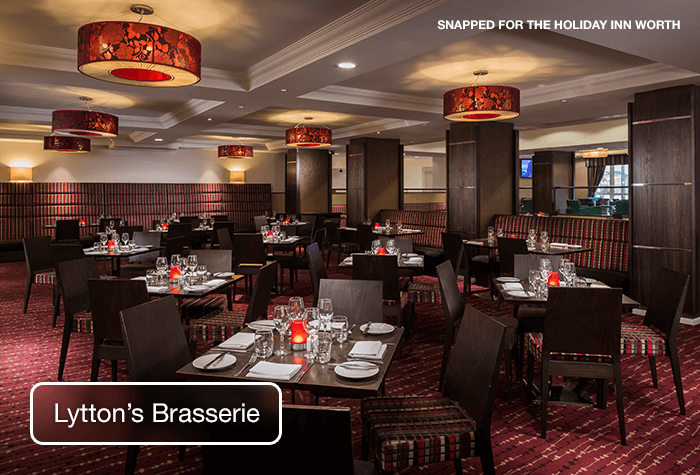 Lyttons Brasserie - serves a menu of classic pub grub and uses fresh, locally-sourced ingredients. One child under 13 eats for free from the kids menu with each paying adult and the average main meal costs about £15. 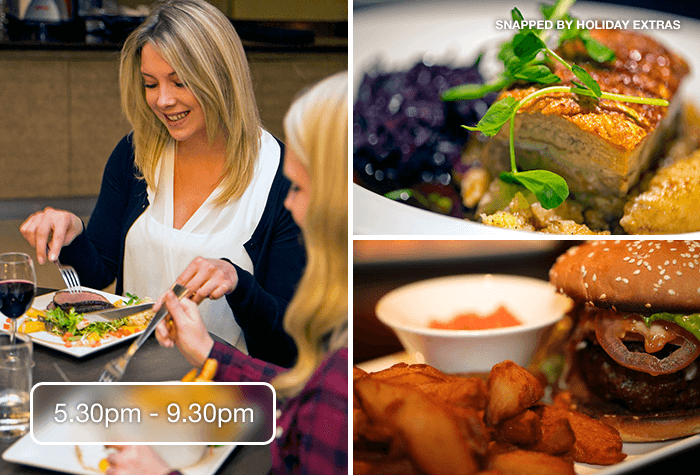 Lyttons bar - serves a menu of quick bites like gourmet burgers, jacket potatoes, soups and salads. It also serves a selection of beers, wine, spirits and soft drinks. Its an English and continental buffet and costs £12.50 per person when you book it through us (its £16 at the hotel). 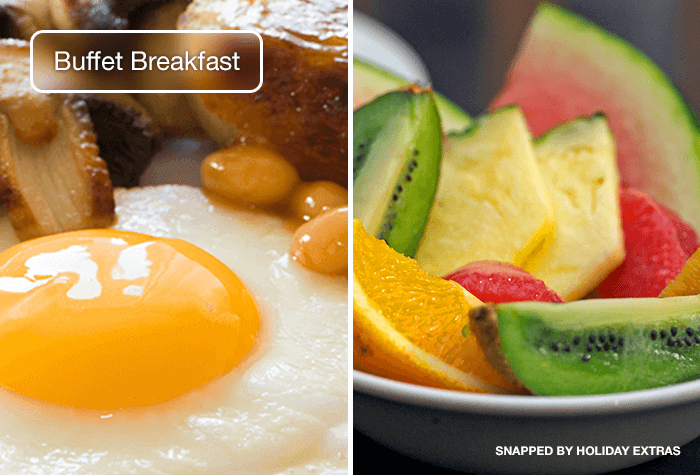 Served 6am until 10am on weekdays and from 6.30am to 10.30am at weekends. Disabled facilities The hotel is accessible and has ramps, lifts and hearing loops. Guide dogs are also welcome. 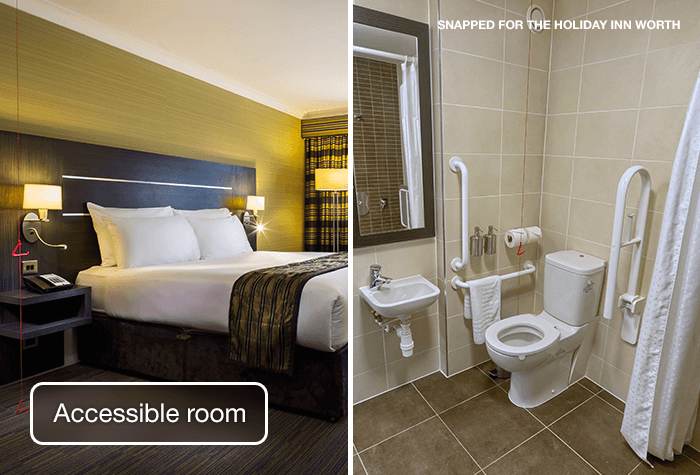 There are 3 accessible rooms with walk-in showers. If you would like to request one of these rooms please call us before you book. 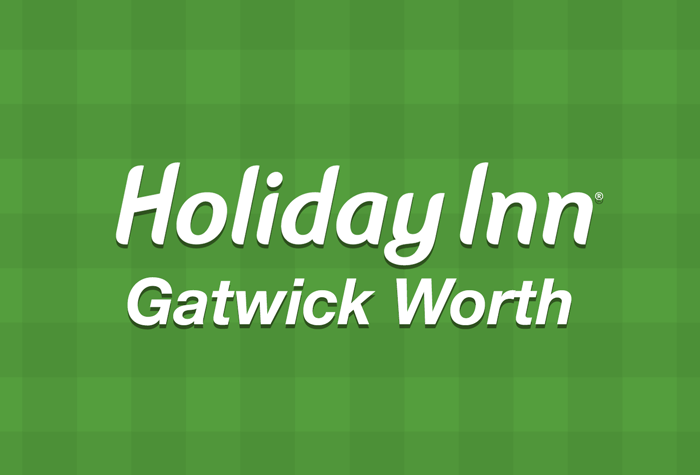 Drive to the Holiday Inn Gatwick Worth - your confirmation will include driving directions and a postcode for satnavs. Park in the hotel car park and head inside to check in - youll need to leave your keys with the hotel incase it needs to be moved within the car park. Its a 12-minute taxi ride to the terminal. Taxis run 24-hours-a-day and cost from £11.50 per car, depending on the size you need, when booked through the hotel. We suggest booking your taxi when you arrive to make sure everything is taken care of in the morning. Collect your luggage, catch a taxi back to the hotel, pick up your keys from reception and drive home. 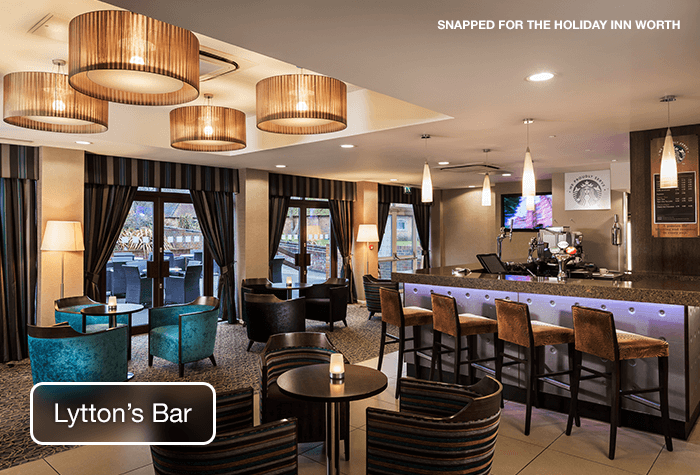 Drive to the Holiday Inn Gatwick Worth - your confirmation email will include driving directions and a postcode for satnavs. Park in the hotels car park and head inside to hand over your keys, registration number and return flight details. Your return parking instructions will be provided at this point. A fully-insured driver will park your car in a secured off-site car park, where it will stay while youre away. Its a 12-minute taxi ride to the terminal and taxis run 24-hours-a-day. They cost between £11.50-£18.50 per car, depending on the size you need, when booked through the hotel. Your car will be brought to the Approved area opposite the terminal for you, so you can head straight home. Collect your luggage and call the car park - youll find the number on your confirmation. Your driver will arrange exactly where to meet you. 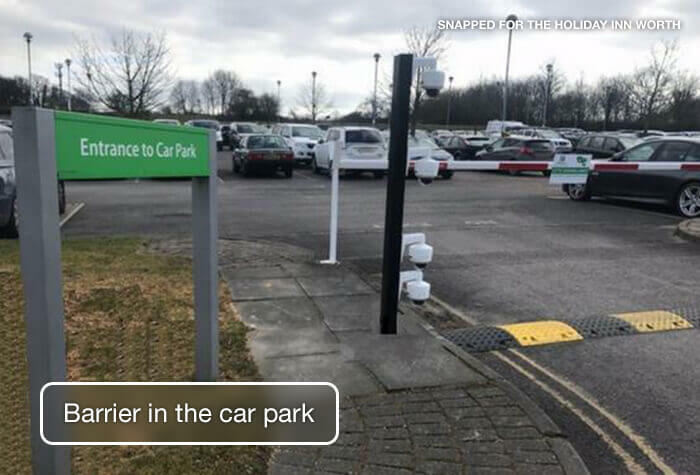 Drive to the Holiday Inn Gatwick Worth and park in the hotels car park overnight. Full driving directions will be on your confirmation and overnight parking is included in the price. In the morning, drive to Purple Parking to drop off your car - youll find full details on your booking confirmation. Park in one of the arrival bays, take note of the number and head to reception to hand over your keys and booking details. Youll be given a ticket with instructions on what to do when you return - remember to keep this safe. Your car will be parked for you while you board the shuttle bus to the terminal. Buses run every 20 minutes, take 15 minutes to get to the airport and are included in the price. 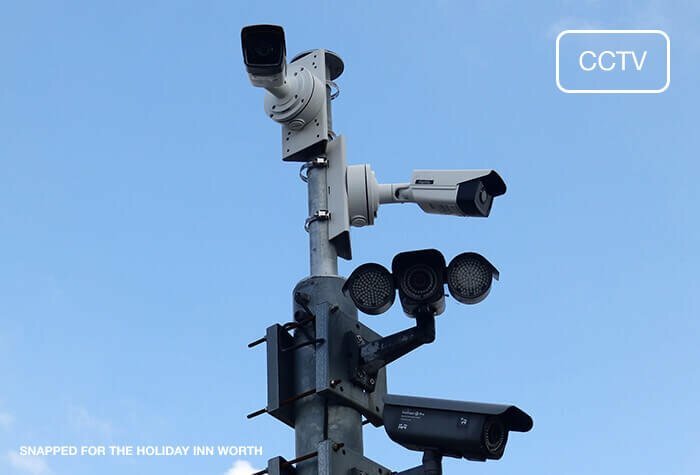 Purple Parking will keep an eye on your car with CCTV and regular staff patrols while youre away. Catch the shuttle bus back to Purple Parking. Its bus stop 6 at the North Terminal and bus stop 7 or 8 at the South Terminal. Youll need to show the ticket you were given when you arrived to the bus driver as you board. Collect your keys from reception and find your car. Drive to the exit barrier and scan the barcode attached to your keys to leave.